Turkey will be on a collision course with Trump if it makes good on its promise to reach Manjib, home to a US Special Forces contingent. More than two weeks after Turkey launched another invasion into Syria dubbed “Olive Branch” by the Erdogan regime, it looks as though the Turkish army is slowly drowning in the Syrian swamp. While state-controlled media in Turkey report huge successes and suggest it will be a matter of days before the Kurdish YPG militia in the most northern canton of Afrin surrenders, the situation on the ground gives a different picture. It has also become clear that Erdogan had a hidden agenda when he attacked the Kurds in Afrin and claimed he only wanted to cleanse the area of “terrorists” - meaning the Kurds, who defeated ISIS and Islamic State itself which has no presence in Afrin. The Turkish army suffered its greatest loss on February 3-4 when ten soldiers were killed in 24 hours, with the Kurds exposing serious flaws in Erdogan’s battle plan and weak points of the defense mechanisms of the German Leopard II tank which the Turks used in the offensive. The Turkish offensive has also been hampered by infighting among the Islamist rebel groups in northern Syria which operate under the name Free Syrian Army and are Turkey’s ally in operation “Olive Branch”. Another setback was a temporary ban on Turkish aerial actions in northern Syria imposed by Russia this weekend. Observers said the Russian measure was related to the downing of a Russian warplane by Islamist rebels in Idlib, which neighbors Afrin. However, the real reason for the Russian ban could be a sudden move by Erdogan’s forces, who moved into the area south of Aleppo all the way down to northern Idlib, a bastion of Sunni Islamist rebel groups and currently under siege by the Russian-Iranian backed pro-Assad coalition. Local media reported on Monday that Russia had attacked a Turkish convoy on the road to Idlib, a report which later proved to be untrue, but the movement of the huge convoy revealed Erdogan’s hidden agenda in the “Olive Branch” operation. Officially, the Turkish leader is helping to implement an element of the so-called Astana agreement between Syria, Iran, Russia, and Turkey, which envisioned so-called de-escalation zones in Syria, observers say. By driving a wedge between the Islamist rebels in Idlib and the pro-Assad coalition, Erdogan’s army is helping achieve de-escalation - according to this line of thinking. If this was the case, Iran would not have issued what British media call an “ultimatum” to Erdogan, while Syrian dictator Bashar al-Assad labeled the Turkish invasion “illegal aggression”. “Turkey’s actions can bring back insecurity, instability, and terrorism to Syria,” Qasemi warned, adding that the issue should be solved in the next round of talks in the Kazakh capital, Astana. Under the Astana agreement, Turkey was supposed to set up 12 observation posts in Idlib, but images of the Turkish convoy in the area of Aleppo showed Erdogan’s forces transferring heavy weaponry to Idlib. The rebels in Idlib have been Erdogan’s natural allies in his quest to dispose of Syrian dictator Bashar al-Assad. Turkey could have supplied the MANPAD which downed the Russian SU-25 warplane over Idlib last weekend, some observers think. On Tuesday, the first direct confrontation between the pro-Assad coalition and the Turkish army was reported, when the sides traded artillery fire near Aleppo. “The shelling, supposedly initiated by pro-regime forces, marks an alarming escalation in the war in Syria,” Arab media reported. The YPG, on the other hand, pictures the Turkish invasion in Afrin as “genocide against the Kurdish people,” using gruesome images of the mutilated body of a female member of the YPG who was killed last week to trigger widespread international protests against the Turkish offensive. Across Europe but also in Lebanon, Kurdish activists supported by locals protested Turkey’s intervention in Syria and the abuse of the partly naked body of the dead female YPG fighter who was called “a female pig” by members of Turkey’s ally, the Free Syrian Army (FSA) in northern Syria. Members of Erdogan’s main ally in Syria could be seen standing with their boots on the naked body while declaring she was a “beautiful woman”. At the same time, another FSA member said Barin Kobani, the mutilated dead female YPG fighter, constituted “the spoils of war from the female pigs of the P.K.K,” a reference to the outlawed Kurdish Workers Party (PKK) in Turkey which is engaged in a prolonged battle against the Turkish army. “The Turkish state is the world’s sponsor of terrorism,” according to the statement which was later followed by a condemnation and call for an investigation of the war crime by the National Council of Syrian Revolution and Opposition Forces, a pro-Erdogan organization. The incident united Kurds across the globe and will no doubt strengthen the resolve of the Kurdish people in Syria in their fight against the Turkish army and strengthen their determination to foil Erdogan’s latest neo-Ottoman move. In this respect, it’s important to see what happens next, when the Erdogan regime makes good on its promise to seize Manbij, a multicultural city in northern Syria which was liberated from Islamic State by the YPG-dominated Syrian Democratic Forces (SDF) in August 2016. The city is home to a significant contingent of U.S. Special Forces. The U.S. Central Command in Syria has made it clear that the U.S. will not leave Manbij and will continue its support for the SDF despite Erdogan’s threats. 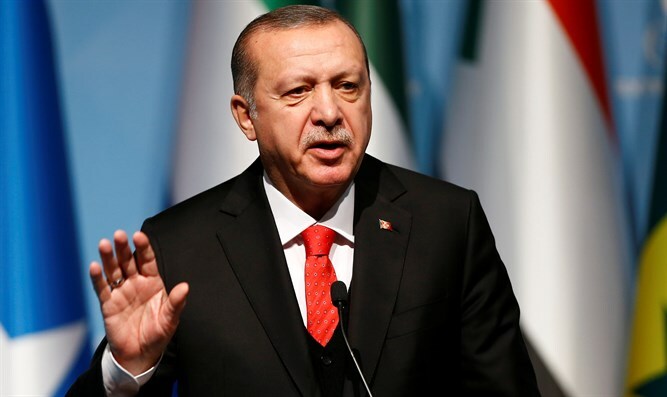 The hot-headed Turkish dictator, however, shows no signs of backing off and this will probably set him on a crash course with the Trump Administration. At the end of January, president Donald Trump called Erdogan and warned him “to exercise caution and to avoid any actions that might risk conflict between Turkish and American forces,” - meaning an attack on Manbij. The United States maintains a force of more than 2,000 soldiers in the Kurdish autonomous areas in Syria.